Progressive instrumental pioneers ANIMALS AS LEADERS will release their new album, "The Joy Of Motion", on March 25 via Sumerian Records. This offering is quickly going to be hailed by fans and media alike as the group's career-defining release that will ultimately redefine the progressive world as we know it. A trailer for "The Joy Of Motion" can be seen below. States Reyes: "I think some of the new tracks are some of ANIMALS AS LEADERS' strongest and musical material yet, and [I am] extremely happy with how the album came out. "Everyone who took part in this album — Misha Mansoor (PERIPHERY), Adam Getgood (PERIPHERY), Diego Farias (VOLUMES) and Navene Koperweis — is extremely talented and I think we've done a great job of capturing it onto what is now the third ANIMALS AS LEADERS album." 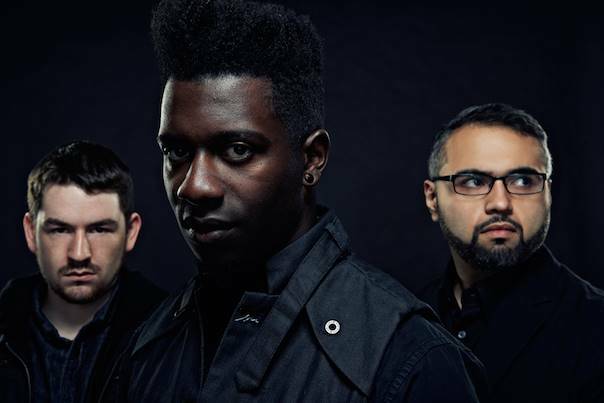 ANIMALS AS LEADERS kicks off the New Year with a massive headlining North American tour on February 24 with AFTER THE BURIAL, NAVENE KOPERWEIS and CHON.